Gord Downie is, hands-down, "the greatest frontman this country has ever produced." 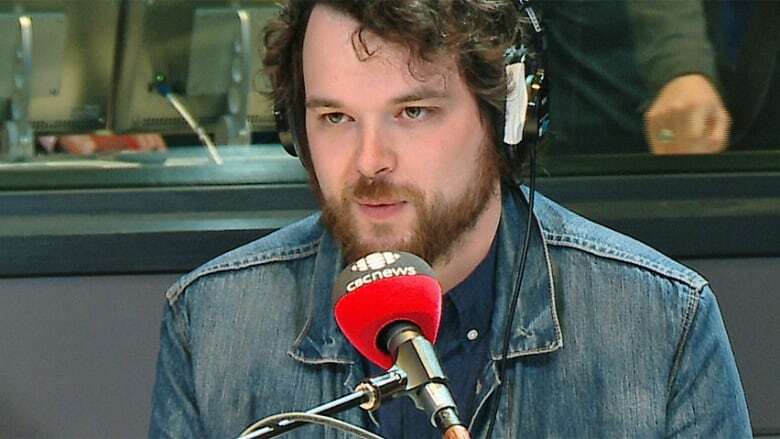 That's the view of CBC Radio 2 host Tom Power, speaking a few hours after news broke that the 52-year-old Tragically Hip singer has terminal cancer but will join his band in a summer tour. Power appeared on Metro Morning today to share his thoughts with the audience, but also to gather their response to the news that has stunned Canadian music fans. "The Tragically Hip in many ways felt like Canada's local band so it's certainly devastating," said Power. Power is asking listeners to share their most meaningful memories and moments about the Canadian band, formed in the mid-1980s, and its iconic lead singer. This morning, people are taping themselves singing the Hip song Courage for Downie, and to post video of their singalong with the hashtag ‪#‎CourageForGord on Facebook and Twitter‬. Power spoke about his first introduction to the Tragically Hip. It happened when his sister played the tape of the band's 1992 album Fully Completely while riding in the car. "Her singing along with some of the songs made me realize that music can be cool," said Power. Downie's unusual dancing style has also made a lasting impression on both Power and Hip fans. Downie's wild, sometimes comical, on-stage gyrations and gestures are legend among the band's fiercely loyal fanbase. "He was never obsessed with his image, he would just let the music channel through him," said Power.
. <a href="https://twitter.com/CBCToronto">@CBCToronto</a> <a href="https://twitter.com/metromorning">@metromorning</a> <a href="https://twitter.com/tompowercbc">@tompowercbc</a> My buddy handed me a mix-tape that introduced me to the Hip the night I announced my engagement. "Every single day at least one thing happens in my life that reminds me of a Hip lyric, and then that song plays in full in my head and my day is better. This band and Gord's lyrics specifically have connected with me at a level I have never experienced music do before. I hope it will happen since I'll see them on tour." "I found that very beautiful," said Power. Hip fan Jim from Newfoundland called in to Metro Morning and said news of Downie's diagnosis has left him stunned. "I'm in shock really," he said. Jim first saw Downie's band at Maple Leaf Gardens back in the early 1990s. He's since seen them "six or seven times." "When music is a part of your life. … when you have a person that writes these words and sings these songs the way he has, they become a part of your life. It's just devastating." Perhaps the most surprising aspect of this morning's news is that Downie plans to join the band for a summer tour, with details and dates to come. Power said he's hoping the shows will become a celebration of the band's music. "I know the tickets are going to go so fast," said Power. "Fans, while reeling this morning, are looking forward to spending time with the band."